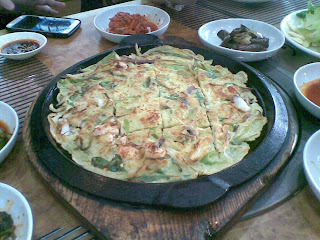 Lately, I have been enjoying Korean cuisine. I am not really fond of spicy food and I was surprised to find out that there are Korean dishes which suit my discerning taste buds. This time, I went to BiWon Korean Restaurant in Pasay City. 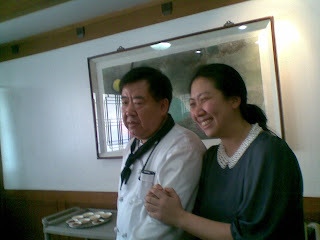 Bi Won Restaurant is popular with the local Koreans and high-profile Filipinos as well. seafood (shrimp, squid and oysters). It is served with a soy-based sauce. 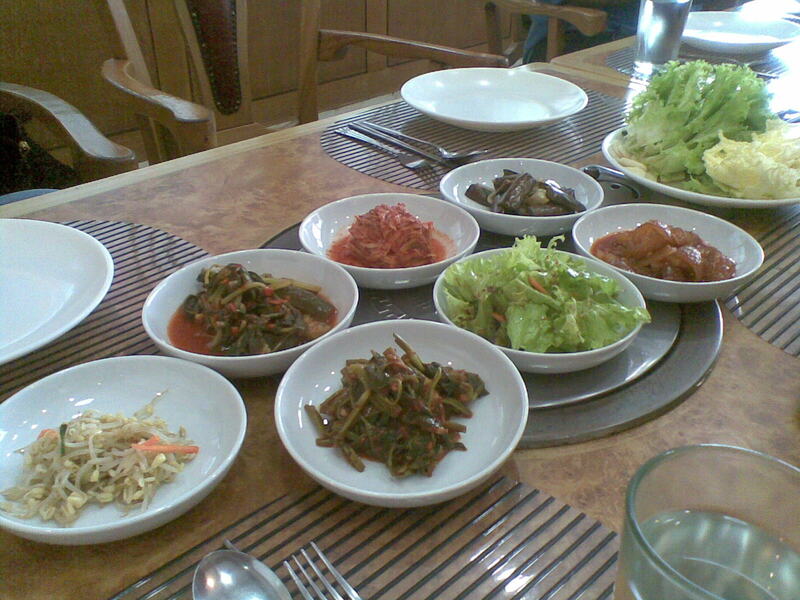 Korean cuisine uses a wide variety of uncooked vegetables in salads or pickles, as well as cooked ones in hot stews and stir-fried dishes. We were served rice, vegetables, and meats. 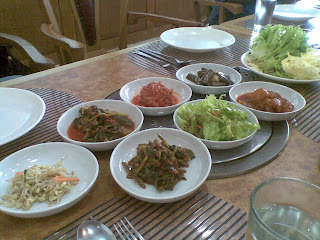 Traditional Korean meals are famous for its number of side dishes (banchan) that accompany steam-cooked short-grain rice. Kimchi is synonymous to Korean fare and it is served often at every meal. The beef marinade was so tasty it had me coming back for more! Bulgogi appears to be unique and full of flavor. The Grilled Marinated Beef Bulgogi is made from thinly sliced sirloin or another prime cut of beef (rib eye). The marinade is a mixture of soy sauce, sesame oil, black pepper, garlic, onions, ginger, and sugar. 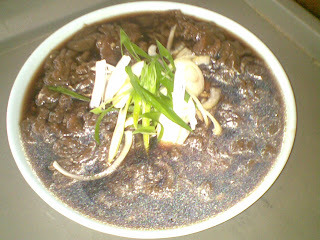 Bulgogi is traditionally grilled but broiling or pan-cooking is common as well. Haemul Jeongol is a spicy stew made with seasonal seafood, radish, minari (Korean parsley), and suk-gat (edible chrysanthemum). It comes in a flavor mix of ginger, mustard, cabbage, soybean sprouts, green onions, sesame seeds, and mushrooms, seasoned with red chili pepper paste. 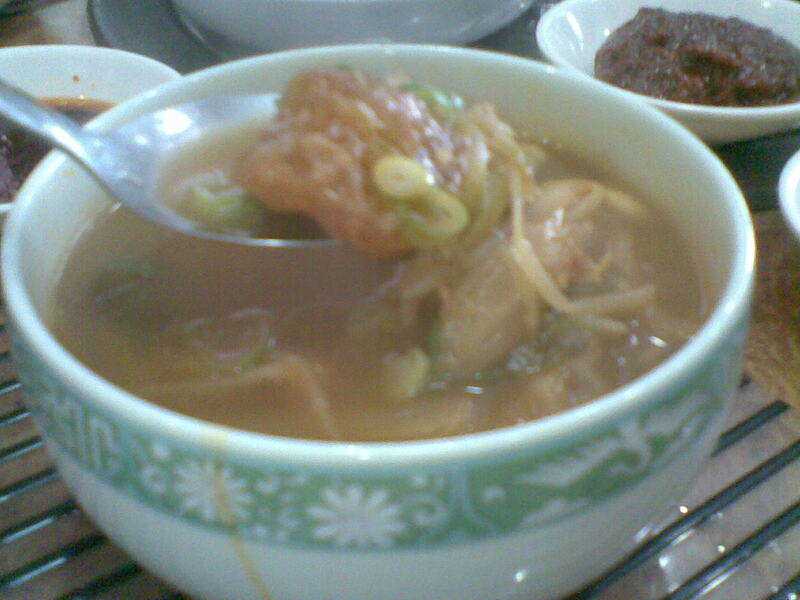 The somewhat reddish spicy broth adds flavor to various fresh seafood. Jap chae is mixed vegetables with the traditional clear, sweet potato starch noodles are traditional plus beef. 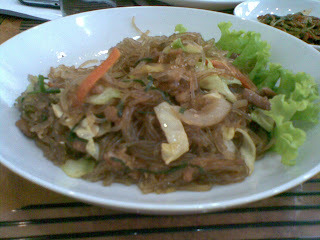 This recipe is what I would call similar to the Filipino 'pansit' but it tastes better! Get you fill of these wonderful Korean dishes! You will be amazed with the explosion of flavors like I was.